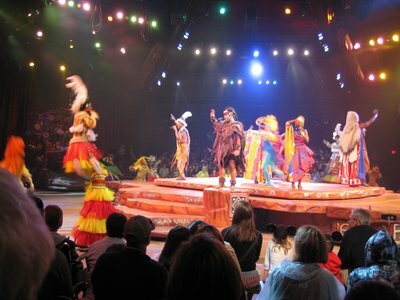 The Festival Of The Lion King is one of Disney World’s most popular shows. According to a recent Tram driver’s spiel it is the single most popular show at Disney’s Animal Kingdom. I’m not sure that is fully official news, but I can believe it. The show is often crowded and is lots of fun. Between the dancers, monkey gymnasts, fire jugglers, and great music, there is plenty of entertainment to be had. 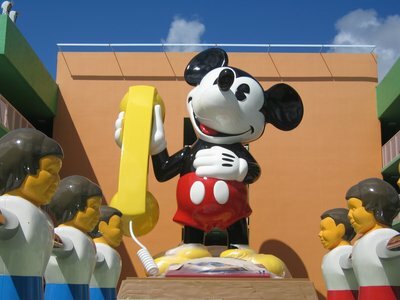 The Festival is currently located in the Camp Minnie Mickey area of the park, which quite honestly doesn’t have very much going on except this show and a Disney character meet and greet. Perhaps that is why Disney selected this area for the new Avatar land, Disney’s latest expansion with James Cameron. And with the announcement of Avatar, many people wondered if the fun, popular, but old Festival Of The Lion King would live to see another day. Some even suspected that since The Festival Of the Lion King hadn’t moved, it meant Avatarland was dead. Generally speaking there was confusion. 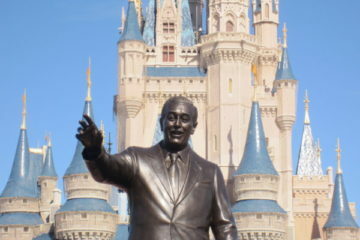 The Festival is one of the most popular shows in all of Disney World. 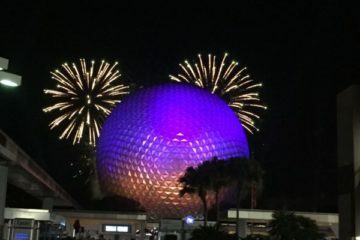 All of the unknowns seemed to be a bit further confused when reports (Source) stated that Disney Cast Members working at the Festival show were notified that the show would be shut down in early 2013. This suggested the show might be done for good. 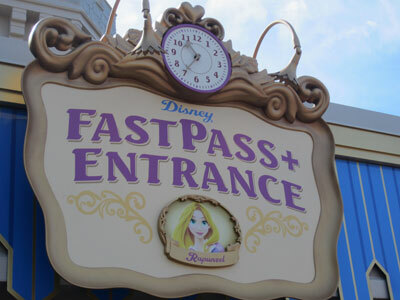 At the same time, as part of the NextGen initiative Disney installed new FastPass Plus entrance stanchions near the existing location for the Festival, suggesting it might still be around for a while. 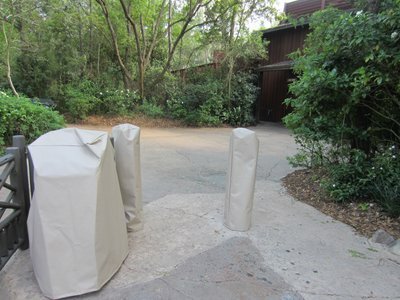 These recently installed FastPass+ stanchions suggest the show isn’t moving from its current location for a while. 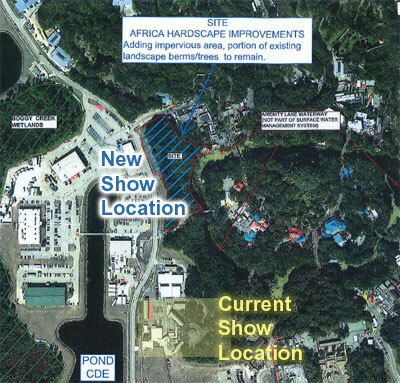 Disney has filed paperwork (application 121217-6, permit 48-00714-P) with the South Florida Water Management District (of which Orlando is a part, since it is ‘upriver’ from South Florida) for a project called “A K Africa Hardscape Improvement”. 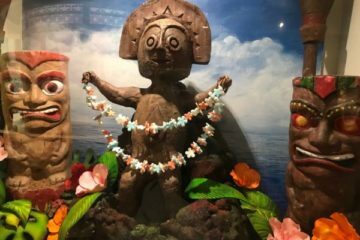 The purpose appears to be to relocate the Festival theater from its current home to a new home in the Asia section of the park, not far from the Tusker House Restaurant. Map from the South Florida Water Management District web site application, with notes on new and old location for the theater. In addition, there is now real construction going on in Animal Kingdom for the new theater to house The Festival of the Lion King. 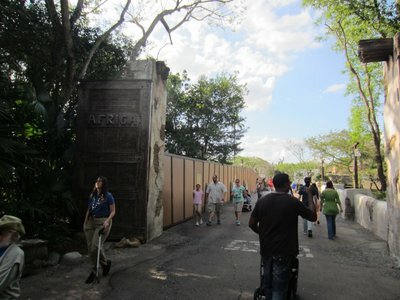 Disney has put up construction walls at the entrance for Africa to clear the new site. 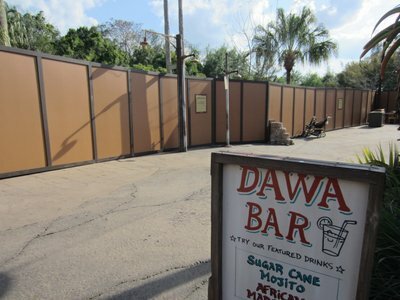 The construction wall stretches from the Africa entrance back to the Dawa Bar. If you have the free Google Earth program installed on your PC (download it free here), you can fly over a full map of Disney’s Animal Kingdom and see the site noted on the map using this link (can be a bit slow to open). 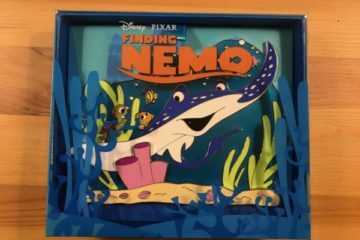 In the end, it turns out that Avatar will move forward, although slowly, and that the popular Festival Of the Lion King show will remain – just in another spot. But when it will move, and whether or not there will be a downtime, is still to be revealed. What do you think about the relocation of the Festival Of The Lion King?